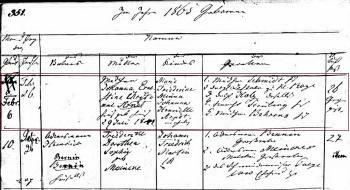 Name Variation Johanna Ernestina Christiana Arndt was also known as Johanne Ernestine Christiane. Johanna Ernestina Christiana Arndt died after 1905. 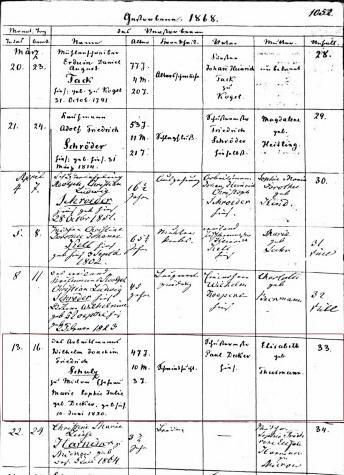 1 December 1900 Teterow, Mecklenburg, Germany Johanna Ernestina Christiana Arndt appeared on the census of 1 December 1900 at Teterow, Mecklenburg, Germany. 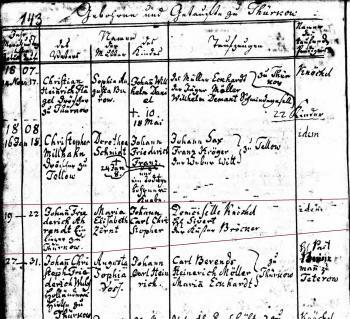 [S412] Lutheran Church, Rostock, Germany, Parish Register 1580-1945, St Jakobi; 1904 Advent - 1905 Advent. 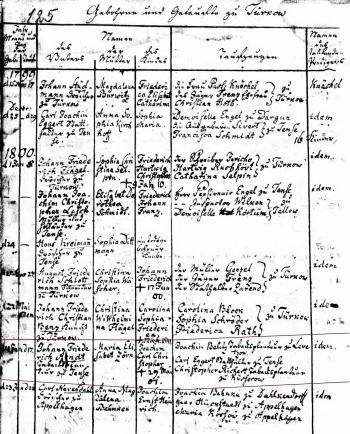 Name Variation Maria Elisabeth Zörn was also known as Zorn. 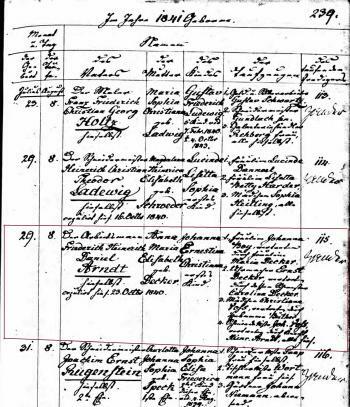 Name Variation Maria Elisabeth Zörn was also known as Zörnt. 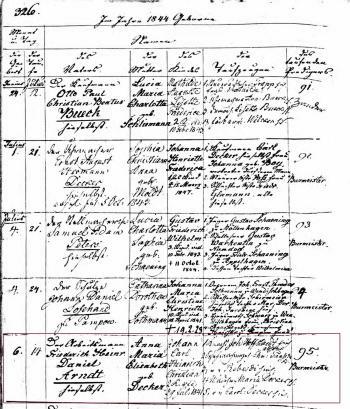 Name Variation Maria Elisabeth Zörn was also known as Maria Elisabet. 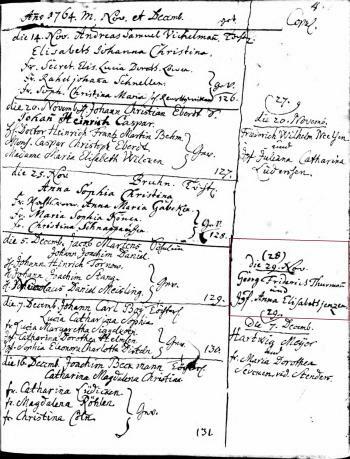 Name Variation Maria Elisabeth Zörn was also known as Zornt. 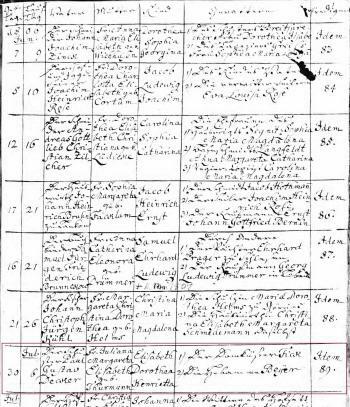 Married Name 8 October 1788 As of 8 October 1788,her married name was Arnt. 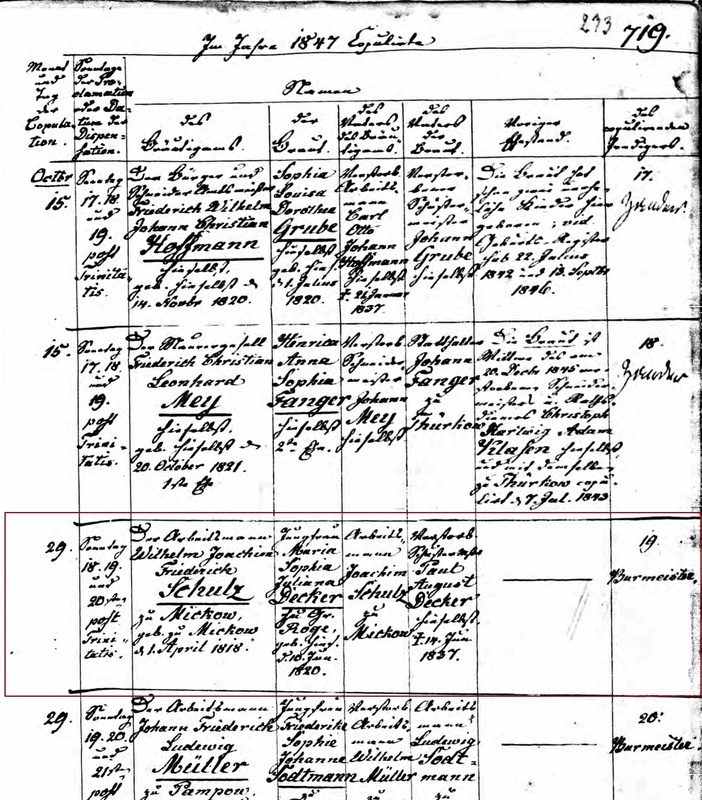 Married Name 8 October 1788 As of 8 October 1788,her married name was Ahrendt. 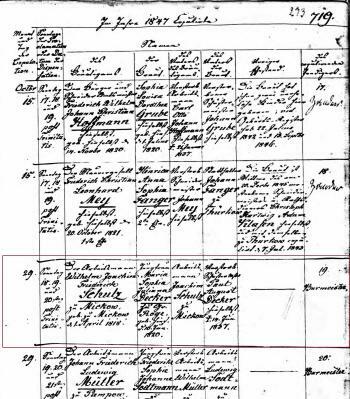 Married Name 8 October 1788 As of 8 October 1788,her married name was Arndt. 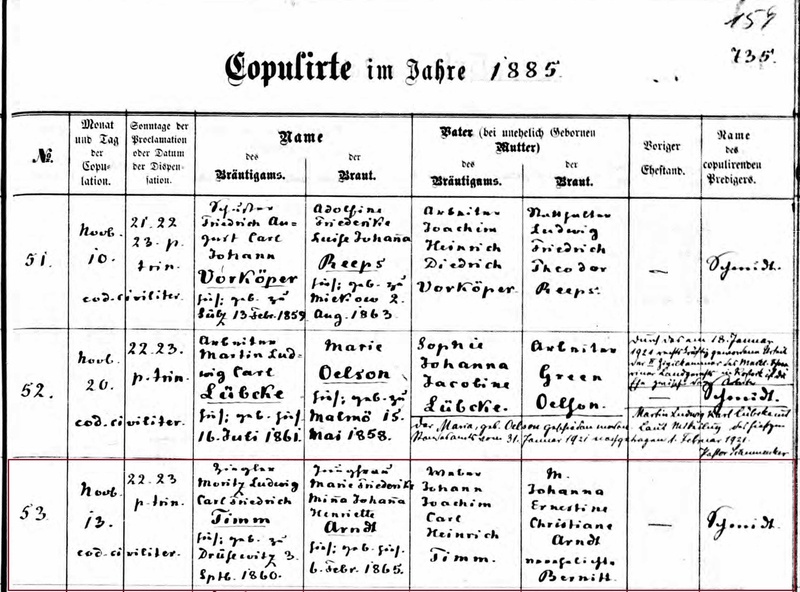 She was the daughter of David Zörn. 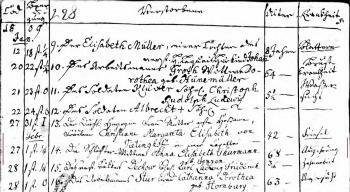 Name Variation Johann Joachim Bernitt was also known as Joachim. 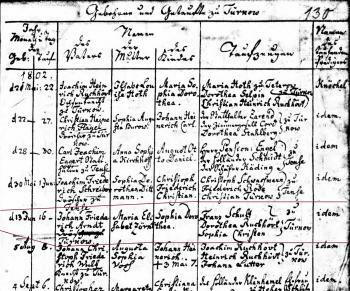 He was the son of Johann Jochim Bernitt and Catharina Sophia Keding. Johann Joachim Bernitt died before 1900. 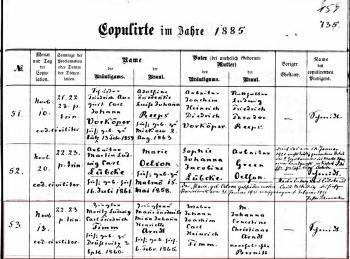 Name Variation Sophia Dorothea Arndt was also known as Dorothea. 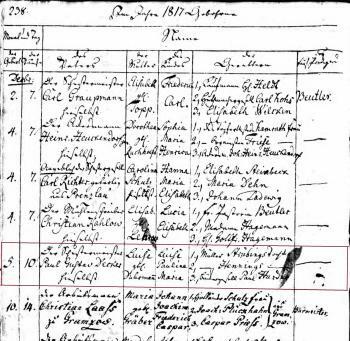 Name Variation Sophia Dorothea Arndt was also known as Ahrendt. 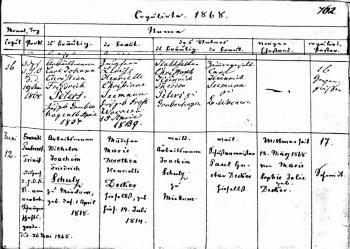 Name Variation Johann Carl Christopher Ahrendt was also known as Arndt. 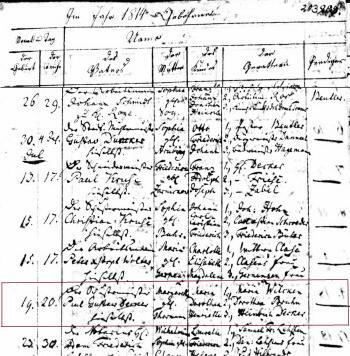 Name Variation Joachim Carl Christopher Arendt was also known as Arndt. 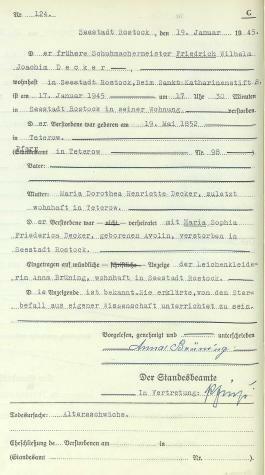 Name Variation Joachim Carl Christopher Arendt was also known as Ahrendt. 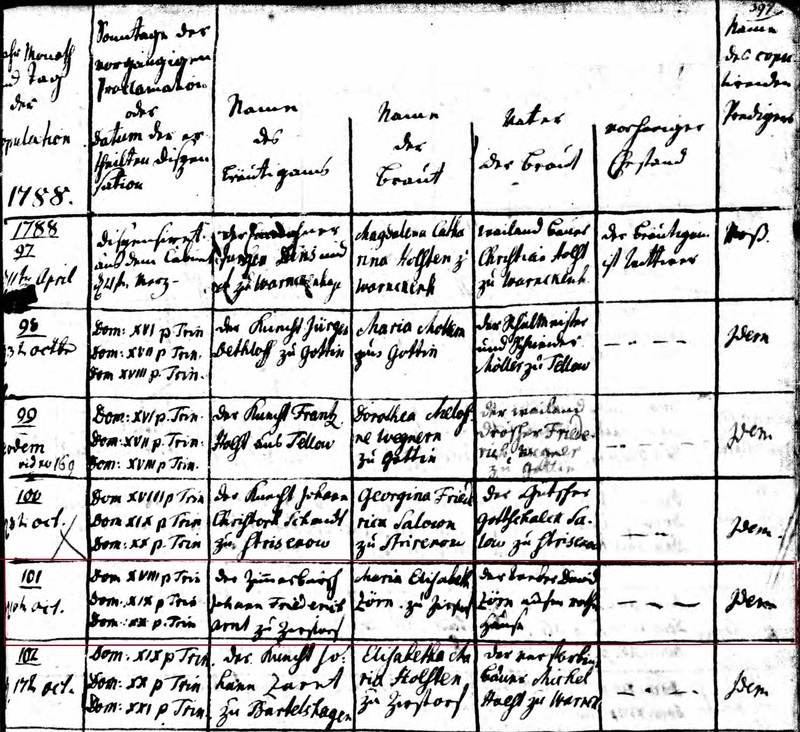 He died on 29 May 1801 at Thürkow, Mecklenburg, Germany. 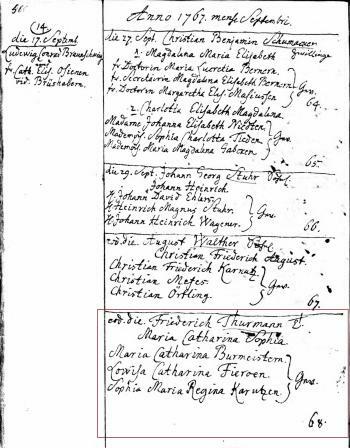 Name Variation Georg Friederich Thurmann was also known as Friederich. 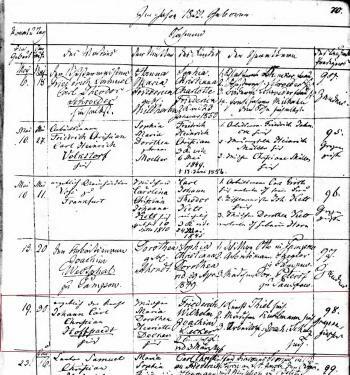 Name Variation Georg Friederich Thurmann was also known as Duhrmann. 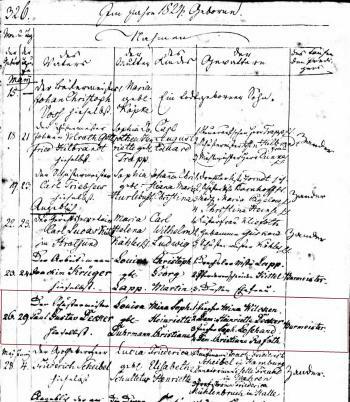 Georg Friederich Thurmann was born circa 1740 at Mecklenburg, Prussia. Name Variation Gottfried Vollrath Heinerich Decker was also known as Gottfried Vollrath Heinrich. 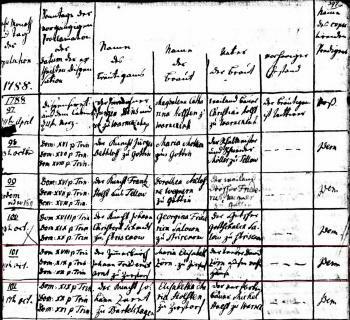 Married Name 12 October 1837 As of 12 October 1837,her married name was Decker. 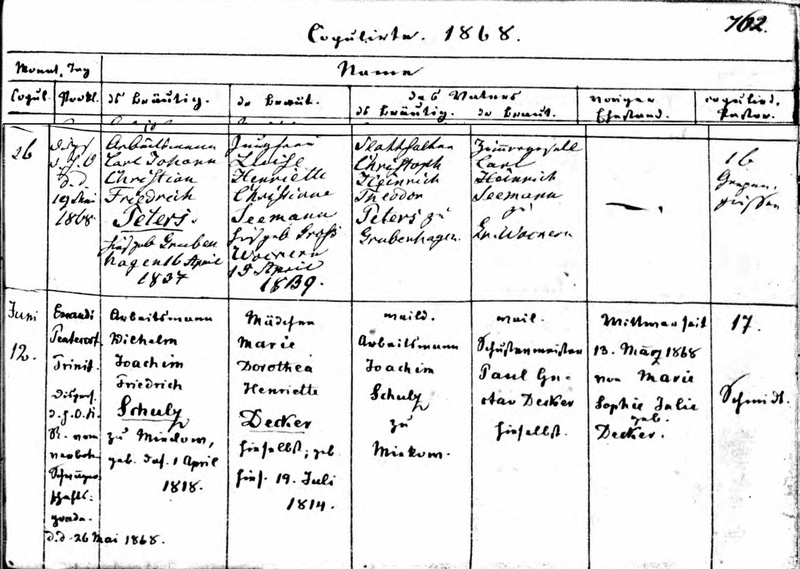 Sophia Louisa Dorothea Wendland was born on 17 August 1802 at Mecklenburg, Prussia. 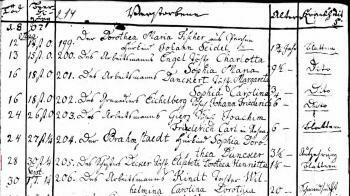 Name Variation Marie Dorothee Henriette Decker was also known as Maria. 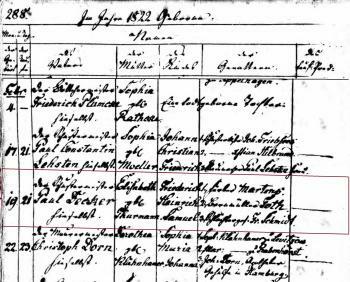 Name Variation Luise Paulina Maria Decker was also known as Lina. 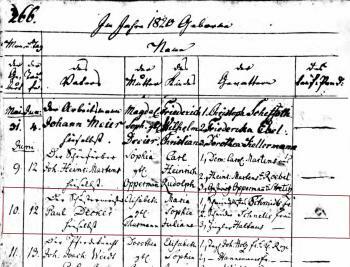 Friederich Wilhelm Joachim Decker died on 17 January 1945 at Seestock Rostock, Mecklenburg, Prussia, at age 92. 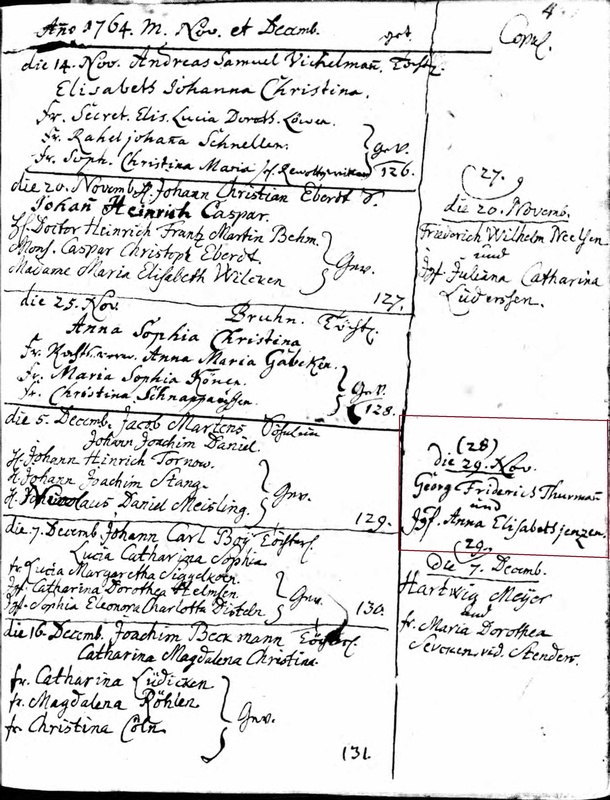 Married Name 29 November 1764 As of 29 November 1764,her married name was Thurmann. 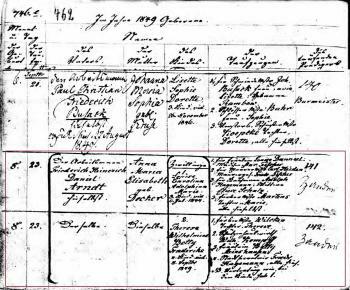 Anna Elisabeth Jenzen was born circa 1741 at Mecklenburg, Prussia.